Are you a mother that wants to learn parenting tips, creating ideas, or follow the adventurous lives of mothers from around the world? After reviewing hundreds of blogs about motherhood, we selected the top 40 best mom blogs of 2018. These mommy bloggers will eagerly take you along on their journey of motherhood and share with you the ins and outs of being a mom. The top mom blog of 2018 is Tech Savvy Mama. 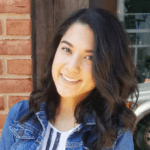 Founded in 2018, Leticia (aka Tech Savvy Mama) created her blog to empower and motivate parents to teach STEM subjects to their kids. 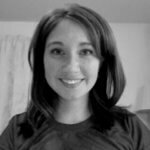 In addition, she is a former teacher who is passionate about using technology to foster learning and makes this very clear in her blog. Her blog touches on topics such as education, lifestyle, and of course, education. Founded in 2013 by a woman named Joanna, Nesting Story is a blog that serves as her creative outlet. In 2015, one of her posts about having four kids and normalizing the postpartum body went viral, with many media outlets picking up the story. Not only does she run a parenting, lifestyle, and wellness blog, but she also has a popular channel on YouTube where she vlogs about her daily life. 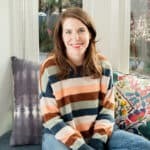 Self-proclaimed shopping addict and blog lover Lauren Cheely is the founder of Southern Mommas. She started her blog in 2014, right before she gave birth to her son. in 2016 she was diagnosed with Endometriosis, which causes infertility. Granted that she can no longer naturally conceive, she views her son as a blessing. As an avid blogger, she posts weekly product reviews, giveaways, and hot deals. 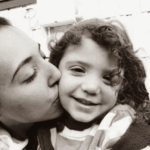 Based out of New York, Monica is the mother of two girls and the blogger at Redefining Mom. She left her corporate job of 11 years to become a full-time blogger and hasn’t looked back since. 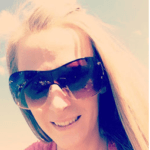 Using her own experience of starting an online business, she also teaches other moms how to make a living online. While her blog focuses a lot on her online courses and marketing tips, she also writes about family budgeting, maternity leave, and C-sections. As the name suggests, Vicky is an English blogger and single mother. In 2012 she gave birth to her daughter and shortly after, left the abusive man who got her pregnant. She also started the blog in 2012 and now considers it to be her full-time job. With that said, her blog includes topics such as parenting, self-development, and lifestyle. Vicky’s blog is very active – she posts new content every couple of days. Winter, the blogger of Winter Tells it All, has a zest for positivity and loves to put a smile on people’s faces. Furthermore, she has a strong appreciation for the outdoors and is always ready to tackle a new challenge. 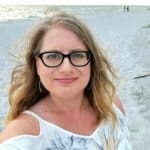 The mother of two and active blogger posts weekly content about her personal adventures, motivational topics, and the daily life of being a mom. 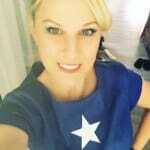 Katie is a mother of girls, a veteran blogger, and avid product reviewer. Not only does her blog boast heaps of giveaways and reviews of mother-oriented products, but it also features holiday guides and pregnancy preparation tips. With thousands of posts stemming from 2010, you’ll be certain to find lots of useful information about parenting and unique products for your family. Run by a mother of four boys named April, the Stories of our Boys blog is a platform that promotes faith and spirituality. Furthermore, she also writes about what life is like being a military family that is constantly on the move. 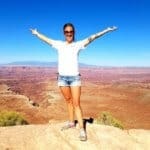 Provided that she’s always on the go, her blog has a whole section dedicated to travel. Additional topics that she blogs about includes parenting, Israel, and humor. With an extensive background in publishing and literature, Joanna Goddard is the face of the blog a Cup of Jo. She spent most of her life growing up in Michigan and later moved New York City to a pursue a career at Cosmopolitan. In addition to being a mother of two young children, she’s now a full-time blogger. Her content revolves around food, design, travel, and relationship advice. Amber is not only an avid blogger but also a mother of three. Based out of Ohio, she is a stay-at-home mom and a self-proclaimed freebie junkie. In her free time, she enjoys DIY projects, movies, games, and dance. You’ll find a lot of unique content on her blog, including reviews, DIY crafts, recipes, and family-fun activities. Her blog has been around for years and she has a handful of new posts every week. Shaina is both a college student and a “millennial mom.” She founded the blog Little Toes and Bows to share her life as a young mother in a relatable and humorous way. Not only did the millennial mother give birth at a young age, but she was also forced to relocate across the country due to her husband’s job. She takes to her blog to write about parenthood, marriage, life, and crafty DIY projects. 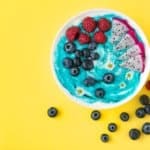 As the name suggests, Your Organic Child is a blog devoted to sharing all-natural, healthy recipes that kids won’t resist. With life-size photos and even an occasional video, this blog is certain to make your mouth water. While the main focus is recipes, the blog does stray away from that and includes a range of topics: DIY crafts, giveaways, reviews, and even couponing advice for budget-conscious mothers. 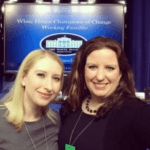 Amy Bellgardt is a mother of two boys, a veteran blogger, and the woman behind Mom Spark. She originally founded the blog in 2008 as a way to reach other mothers, share tips, and tell motherhood stories. Moreover, Amy is well-versed in a variety of areas so he blog will never fail to bore you. As a writer, she frequently travels the globe and shares her adventures on her blog. In addition to travel, her blog also has articles ranging from style inspiration to delightful recipes. 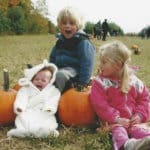 Founded by a woman named Jacqui, Baby Boy Bakery is the heartfelt blog that shares her experience of losing a child and the daily mechanisms she uses to cope and remember his legacy. Her blog boasts tons of posts, each with a bright and joyful photo. Jacqui actively writes about fitness, her day-to-day life with her little girl, and soothing recipes. In addition to her blog, her website also hosts an online store where you’ll find must-have products such as recipe binders and baby diaries. 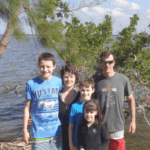 Based out of central Florida, Angela is a mother of two and the creator of the About a Mom. She founded the blog in 2011 as a way to share parenting tips, kid-friendly recipes, and her daily ups and downs as a single mother. With over 325,000 followers on social media, About a Mom is one of the most-visited motherhood platforms. Angela’s blog is full of zesty recipes, travel stories, and various product giveaways and reviews. The Middle Cinnamon Roll blog is a platform that promotes positive and punishment-free parenting techniques. 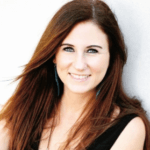 Former pianist and mother of three, Trina Dye, is the face of this blog. Her content revolves around opposition to harsh parenting, her support for feminism, and ways to improve your wellbeing and daily life. In addition to her blog posts, her website is soon to feature a section devoted to podcasts. Once an alcoholic, drug-addict, and struggling with bulimia, Glennon and her family struggled for twenty years. After seeing the results of her pregnancy test in 2002, Glennon vowed to change her life and get rid of her unhealthy habits. She decided to marry her son’s father and now is the mother of three kids. Not only is she a blogger, but she’s a bestselling author, public speaker, and an activist against drugs, eating disorders, and alcoholism. 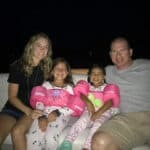 Glennon’s blog is a great place for those who want to beat addiction and get their life back on track. Candy Keane is a self-proclaimed “crafty geek,” an army wife, and mom to a little boy named Keelan. Her blog, Geek Mamas, is devoted to both motherhood and her love for cosplay. With over 147,000 likes on Facebook, Candy is truly a relatable mom and has created a platform for other mothers to connect with her. In addition to her passion for cosplay, her blog features posts about her travel stories, staying fit, and crafts. Claire, the founder of Shifting My Perspective, is a mother of three children who finds her inspiration and motivation through faith and scripture. Her blog serves as a platform for other mothers who abide by scripture in their day-to-day life and turn to God in difficult times. Every post on her blog is tied with a scripture from the Bible, connecting her real-life stories and tips to the words of God and the Disciples. This community platform is designed for moms of the 21st century, raising kids who are hooked on technology and the latest trends. Content created by the authors at Modern Day Moms has been featured on other sites such as Buzzfeed, Country Living Magazine, and Lifehack. 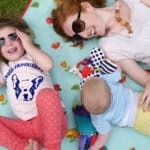 With over 500,000 Twitter followers, this blog is inarguably the queen of mom websites. Unlike other blogs, all the posts at Modern Day Moms are uniquely written for the site (not spun content), and revolve around recipes, DIY, beauty, and entertainment. As you can infer by the name, Chronic Mom follows the life of a mother with chronic illness: Lyme Disease, CFS, and Fibromyalgia. 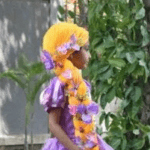 Due to leaving her diseases untreated at the beginning, she will have to suffer from them for the rest of her life. 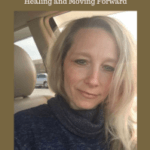 Shelly created the blog to personally connect with other moms struggling with chronic diseases and brighten their day with laughter and guidance for coping with an illness. To Kelly, being a fun mom isn’t just about doing crafts all day and watching movies, it’s about embracing joy and those around her. 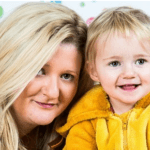 Kelly founded the blog Be a Fun Mum to create a platform that celebrated differences and promoted individuality, all while being able to add value to family time. Her posts touch ways that mothers can be more positive, tips for living in the moment, and how to be a “fun” mom. 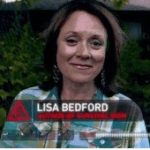 Lisa Bedford created The Survival Mom blog to help mothers reduce their stress levels and enjoy their family time. Not only is she a mother of two homeschooled kids, but she also considers herself a “news junkie” and constantly stays up-to-date on what’s happening in the world. After her family was affected by the economic recession in 2009, she started to invest her time to think of ways to live more frugally and resourceful. Her blog helps mothers live within their means and enjoy their lives at the same time. Can you imagine how hectic life would be with seven kids? This is Susie’s reality, and she’s not afraid to share it with the world. 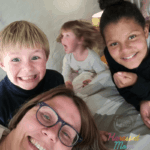 She founded her blog Not Your Average Mom to blog about aspects of motherhood that other bloggers tend to leave out: messes, meltdowns, and fighting. Susie’s goal is to show what being a mother is like in a big family and not sugar-coat her life stories. 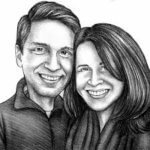 Apart from the less-appealing parts of motherhood, Susie also blogs about recipes, mealtime, parenting tips, and travel. Shann Eva is a native midwestern and a mother to three boys. The purpose of her blog is to share her daily life with three boys and to provide a platform for support, encouragement, and hope. As a mother who went through a high-risk pregnancy herself, she wants other women in the same situation to have a place to go for moral support. Her vibrant blog is full of posts about health, shopping tips, money-saving, and her personal life stories. While the Working Mother website is a blog itself, it also acts as a hub to other mom websites. 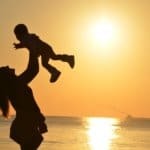 The blog focuses on mothers who work full-time and gives them tips to achieve the career of their dreams, all while managing the busy life of a mother. Not only is there a section dedicated to work life, but also a section with content about home life. If you’re in the job market, the Working Mother also has a huge list of the best companies for moms and for women advancement. Based out of India, the mother behind the blog Raising Twins has two identical 4-year-old girls. Her blog talks about the extra work it takes to raise twins and the challenges she faces on a day-to-day basis. Furthermore, she points out the shortage of care products in India that are commonly found in first-world countries. Her very “purple” blog features product reviews, dress up ideas, and DIY activities. The founder of the blog The Science of a Mom is Alice Callahan, a mother of two and a college instructed based out of Eugene, Oregon. 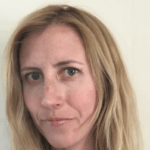 With her background in fetal physiology, Alice focuses on the science of parenting literature and then blogs about studies in a way that is understandable for a general audience. Since you often hear about parenting rules but don’t know the reason behind it, Alice will inform you why you’re adhering to certain rules and how it affects the health of your child. 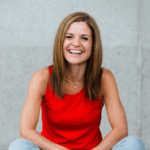 Based out of Texas, the Soccer Mom Blog is run by a woman named Stacey and promotes living a healthy lifestyle and parental encouragement. Like many of the blogs on this list, Stacy’s blog is full of DIY craft ideas, fun family activities, kid-friendly snacks, and fitness tips. When it comes to motherhood, her motto is “whatever works!” With no set rules for parenting, Stacy takes on a fun approach to motherhood and has a knack for sharing her ideas. While some mothers are skeptical of letting their children live by a lenient set of rules, Lenore Skenazy is a full-on supporter. Her blog, Free-Range Kids, teaches mothers how to raise self-reliant kids without madness. Not only is she a blogger, but she’s also a host of a television show called World’s Worst Mom. Moreover, her blog takes on some touchy subjects such as law enforcement’s treatment towards children and media criticism. If your child is either an actor or an aspiring one, then the Hollywood Mom Blog is worth a look. 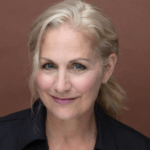 The blog was founded by Tracy Bobbit, an actress herself and a mother to an actress. 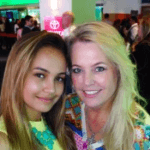 Her blog recounts her busy life of being a Hollywood mom – taking her daughter to auditions, coping with rejections, and taking on the other typical challenges that come with the industry. In addition to her blog posts, the site features casting calls and stories about child actors. 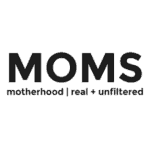 Rookie Moms is the go-to blog for new mothers who aren’t quite sure what they’re doing yet. This vibrant blog features gift ideas, product guides, and health tips for newborns. Additionally, the blog occasionally features followers in their posts, letting them show off their adorable babies. 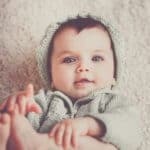 Aside from the blog, there’s also a huge guide to baby registry lists so you can make sure you don’t leave out any super-important items on your list. As you can see by the name, this blog is quite literally (and hilariously) about a “harassed” mom. Based out of South Africa, the blog’s founder is a mother to four kids and leads a very chaotic, eventful life. She takes to the blog to write about her day-to-day life as a busy mother, the struggles she deals with, and tips for other mothers. Aside from her blog content, she also gives away many family-friendly products. Kelly and Kevin have been married since 2007 and are the parents of two adopted children. 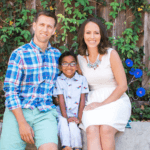 Originally Kelly started the blog so her friends and family could follow her adoption story, however, she continued to blog after the adoption to share her life story with the world. Her blog is a great resource for women that want to pursue the long and complicated journey of adoption. With that said, her blog boasts tons of photos and posts about family trips, holidays, and lively activities. 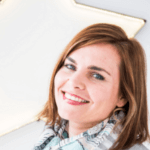 Business-savvy mother Beth is the face of Brilliant Business Moms, a blog dedicated to sharing ideas and tips to entrepreneurial mothers. Beth’s platform is specifically targeted to mom’s with Etsy, DIY, photography, and writing businesses. In addition to a blog, her website features a shop, freebies, and podcasts. This adoptive mother works hard to achieve success and inspires other moms to do the same. 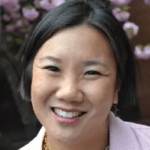 Michelle Hon is the founder of The Chill Mom blog, a platform that features pregnancy, self-care, and parenting tips for mothers. 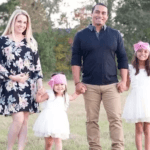 The mother of three is also the owner of a baby planning business, a service that helps busy moms prepare for childbirth and the hard work that comes afterward. With countless media appearances, multiple businesses, and a certification in childcare, Michelle Hon is definitely a trustworthy source when it comes to developing parenting skills. Wading Through Motherhood is a blog about the ups and downs of the journey known as motherhood. The founder of this blog is a devout Christian, a teacher, and a mother of two kids She writes articles about how to help children deal with emotions, ways to control your own feelings, and how to recognize when you need some time on your own. While she doesn’t post super frequently, her content is still very resourceful and fun to read. This humorous, yet informative blog is great for mothers who enjoy a good laugh every once in a while. So Long, Schmoopy was founded by a mother of two girls who has been dealing with an autoimmune disease for a few years. Consequently, she uses her blogs to share her struggles and the emotional pains that come with the symptoms she experiences. 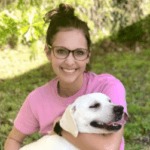 Despite her disease, she still actively blogs about positive thinking and her life updates. The founder of Mommy’s New Groove became a mother in 2012 and ever since then, her life was changed. She started her blog to share all her experiences as a mom, both the good and the bad. After giving birth, she left her 9-to-5 job to fully commit herself to her daughter. Her blog features a variety of topics including travel, entertainment, and tips for mothers. Created by a mom named Eliza, A Baby on Board is a UK-based blog that boasts tons of posts ranging from pregnancy tips to interior design. She started her blog to share her pregnancy timeline, however, she now uses it to document her life in London as a young mother. In addition, the blog has been featured in numerous media outlets and is high-regarded in the blogging community. We’ve carefully picked these top mom blogs because they’re actively producing high-quality posts geared towards mothers w/ high-quality information on saving money, parenting, or just saving your sanity. 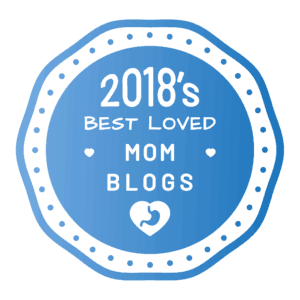 Are you listed in this, or interested in displaying the best Mommy blogs and websites in 2018? Use the embed code below to insert this onto your website.